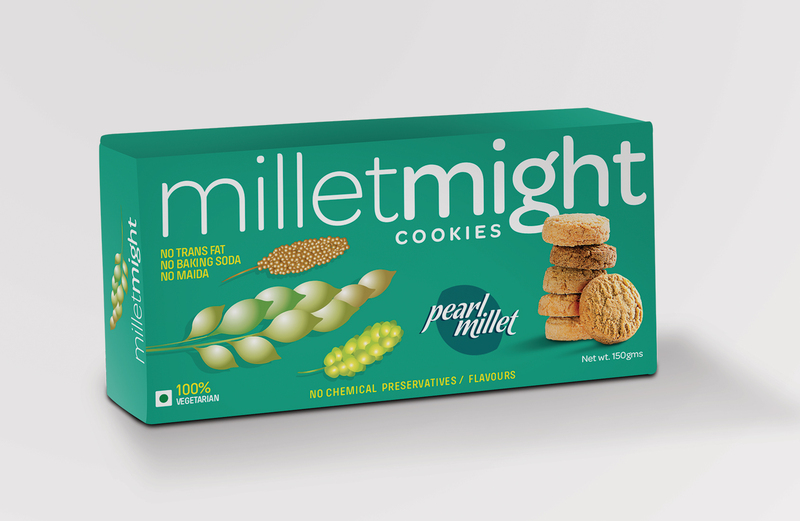 To make consumers believe that eating a packet of millet might is akin to consuming a healthy meal. 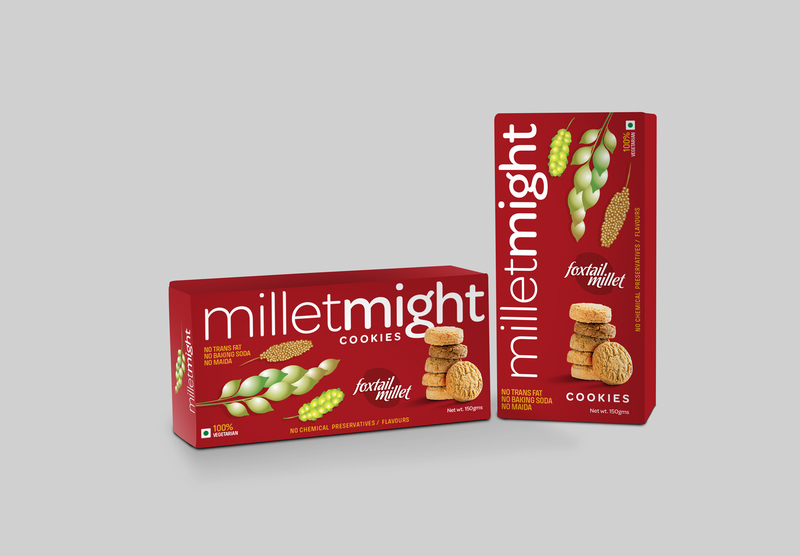 The client wanted to launch ragi-based biscuits as a healthy alternative to maize-based biscuits. The biscuits were meant for those who are health conscious but do not always have the time to cook up a healthy meal that’s tasty too. The biscuits were to be launched in 250gms packets. Our job was to name them and design the packaging. We derived our design inspiration from the home kitchen because it’s there that food is made with absolute love and care. 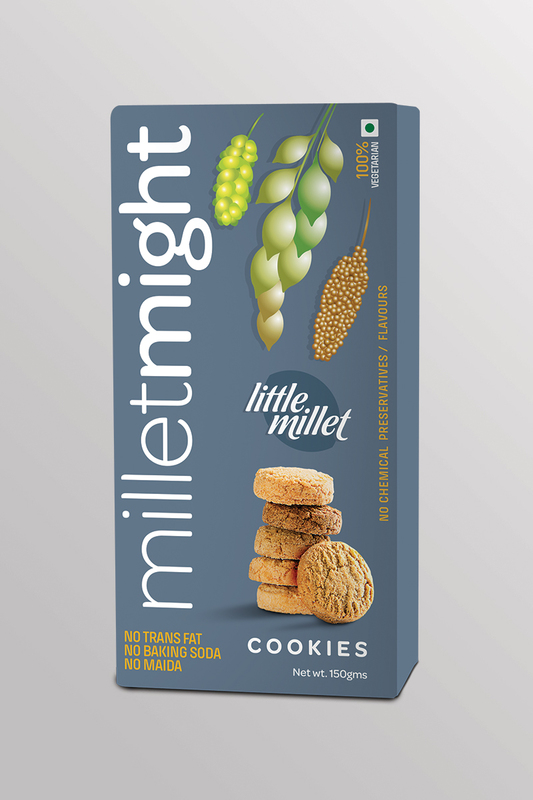 The packaging, thus, carries back-in-time kind of illustrations of millet, bringing back memories of mum’s cooking. In short, the solution included tying the brand with simple and honest emotions that we generally associate with the goodness of home-cooked food. The emotive brand story increased the brand’s presence in the consumer’s mind almost instantly. 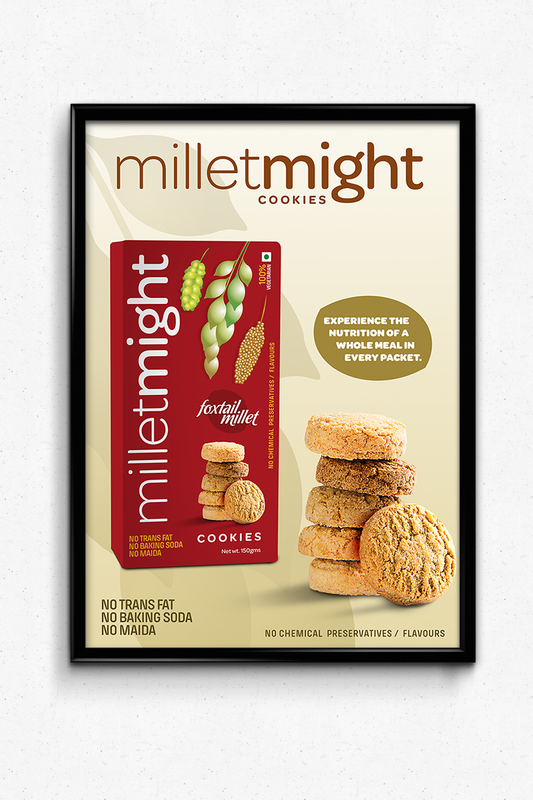 The consumer felt comforted by MilletMight’s homely packaging design, thus heightening his/her belief in the brand. Among the others who found happiness and solace in the brand’s promise through its packaging were some yoga practitioners.